Bajaj V to see higher capacity models | IAMABIKER - Everything Motorcycle! Bajaj’s premium offering in the 150cc commuter segment, the V15 has been doing well. Bajaj took a risk and went ahead with a bold and experimental styling and classic design language to make this bike stand out from the crowd. The V15 captured the imagination of the public yearning for something more than just a commuter. Thus, the ‘premium’ or ‘executive’ commuters as they can be called are a new breed of bikes offering not only stylish and comfortable commuting for the masses but the highly sought after exclusivity factor as well. Banking on the success of the V15, Bajaj has now announced plans to expand the platform and launch a series of bikes. The next Bajaj V motorcycle is slated for a November release, with all other details being hidden save that the displacement will be larger than 150 cc currently offered. Perhaps a Bajaj V20 or similar motorcycle is in the making. One thing is for sure, Bajaj knows how to take forward a good platform and make it great as they have proved in the past. The V15 has a palate of interesting and well matched styling features such as the bird-like headlight with a chrome lining, a muscular tank, cast foot rest holders, a single seat which features a removable rear cowl, contrast grab handles tucked under the pillion seat, rider seat with double contrast stitches and LED tail light. The sloping stance, wider tyres and alloy wheels add to the appeal. 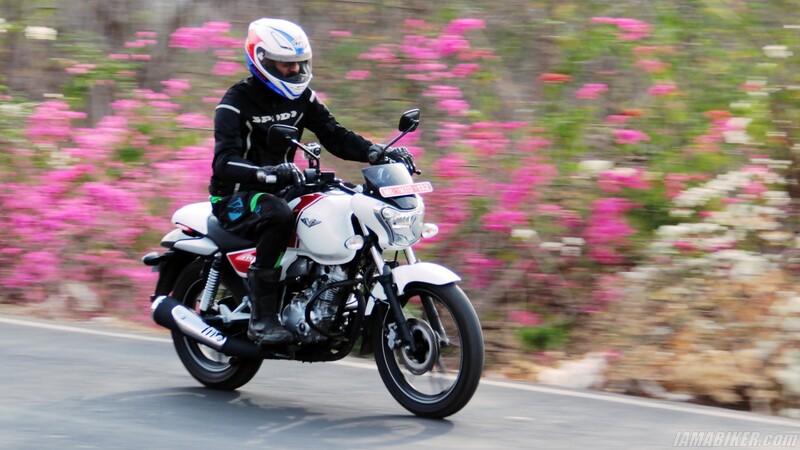 You can check out our review of the Bajaj V15 for a detailed understanding of the bike. The Bajaj V15 is powered by a newly designed 149 cc engine which has been tuned with commuting in mind. It produces 12 PS of power and a torque of 13 NM. The wide handlebar provides a relaxed stance and well damped suspensions handle Indian roads with ease. In addition to the value for money, the key USP of this motorcycle is that it shares it’s soul with a war ship. While unveiling the V15, Bajaj Auto had said that it had procured scrap metal from the INS Vikrant which has been used to form the motorcycle’s tank. Besides, a bit of the metal is found in the key so that every V15 rider will remember that the spirit mighty battleship lives on in the bike. The Bajaj V15 has the distinction of being the only motorcycle to have metal from an Indian aircraft carrier to be used in it’s construction. The Bajaj V15 is a very appealing package which is available at INR 62,002, ex-showroom Delhi.